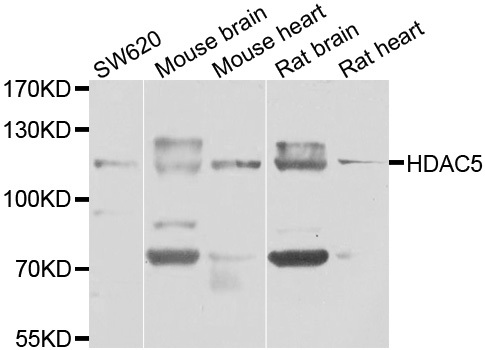 Western blot analysis of extracts of various cell lines, using HDAC4 Polyclonal Antibody at 1:1000 dilution. Secondary antibody: HRP Goat Anti-Rabbit IgG (H+L) at 1:10000 dilution. 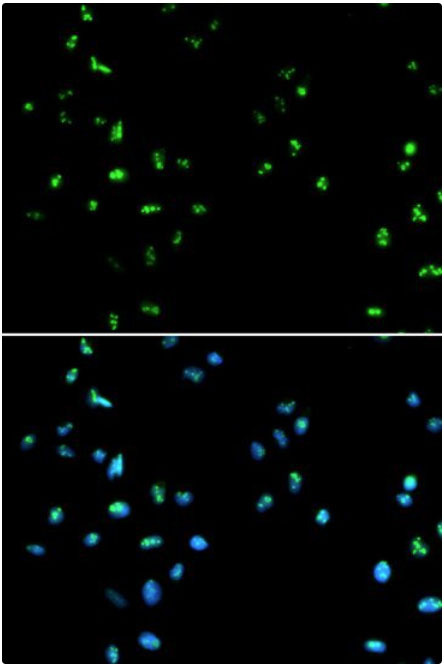 Immunofluorescence analysis of A549 cells using HDAC4 Polyclonal Antibody. Blue: DAPI for nuclear staining. Histone deacetylases (HDACs) play a critical role in transcriptional repression of geneexpression in eukaryotic cells through catalyzing the hydrolytic removal of acetylgroups from histone lysine residues. Three distinct families of HDACs have beendescribed, comprising a group of at least 20 proteins in humans. 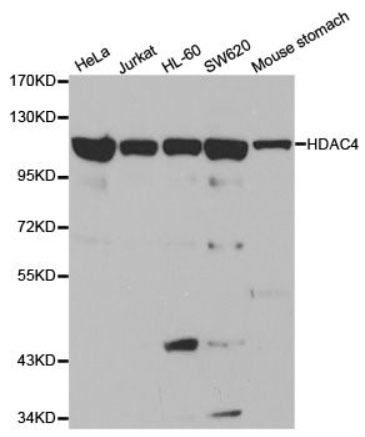 HDAC4 is a class I histone deacetylase. 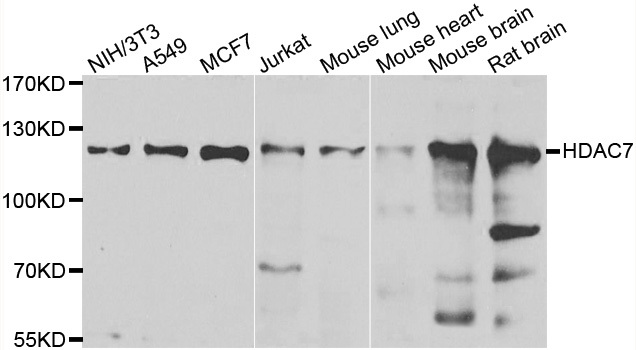 HDAC4 Polyclonal Antibody. Unconjugated. Raised in: Rabbit. Pitcher J et. al. (February 2014). Neuronal ferritin heavy chain and drug abuse affect HIV-associated cognitive dysfunction. J Clin Invest. 124(2):656-69.